A vegan diet shouldn’t mean that you have to miss out on your favourite sweet treats. Whether you’re shopping for yourself, or as a gift for friends, family, or colleagues, the Gourmet Chocolate Pizza company has your vegan and vegetarian chocolate needs covered. 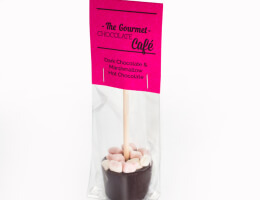 Made using our gourmet Belgian chocolate recipe, the dark chocolate gifts highlighted below are suitable for those following a vegan diet and are sure to satisfy even the sweetest tooth. We believe that vegan chocolate needn’t be boring chocolate, so whether you’re looking for a treat for yourself, or a gift for a friend or loved one, there’s plenty to choose from. 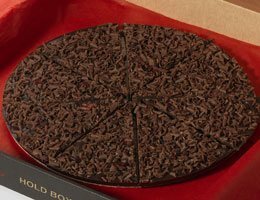 Our double dark and delicious chocolate pizza is one of our personal favourites. A deliciously rich dark chocolate base is packed with juicy raisins and cranberries and is topped with dark chocolate curls delivering the perfect balance between sweet and bitter. Shopping for a vegetarian? 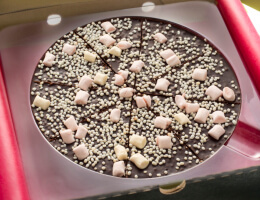 You’ll be pleased to know that we also have a well-stocked range of chocolate pizzas and gifts that are suitable for vegetarians, too!